Between July 2009 and July 2010, I and two little kids rode Ruth's sabbatical coattails to Montpellier in the south of France. 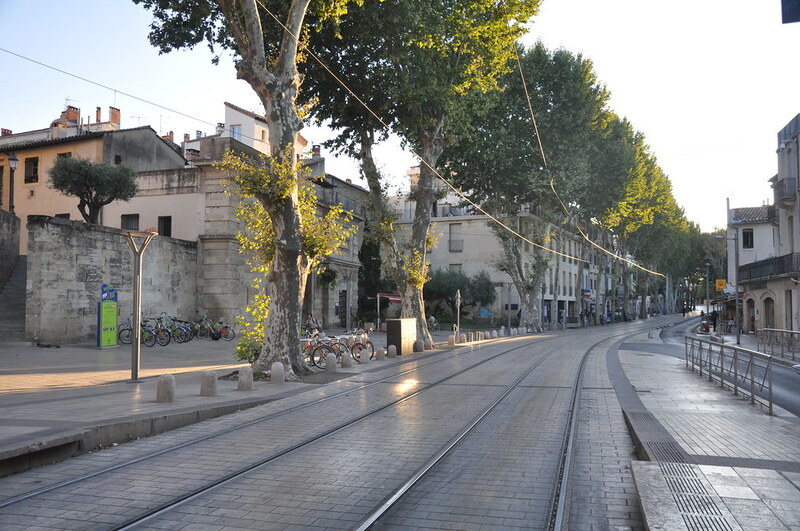 This was my first blog post on arrival: https://sgillies.net/2009/07/06/nous-sommes-arrivs-montpellier.html. Seven years later, we're headed back to the Hérault (34)! I'm super excited and a bit anxious, the next few months are going to be a bit crazy. Ruth is going to be hosted by CGBP (Centre de Biologie pour la Gestion des Populations – Population Biology) again. Great people, great facility. I've got the +1 and support from my team at Mapbox. We've found and made a deposit on a house in Montpellier. The proprietaires are university profs and very helpful. We have a date at the French Consulate General in Los Angeles to get long stay visas. This is a new twist, last time we took care of this in France. We've tuned up our French language skills. I expect our kids are going to impress their teachers. Ruth found a rental house in the country that was just 5 mins from her lab via VTT (mountain bike) singletrack (!!) but we decided to go with a house in a more central Montpellier neighborhood. Find renters for our house in Fort Collins. Pack and ship essentials across the ocean (our 7 and 10 year-olds have much greater requirements than last time), and store other stuff locally. Learn how to transport a dog to France. Find some late summer or fall trail running races in Europe to replace the Black Squirrel race I'd otherwise run here in September. Plan our upcoming vacations. the French do this well in advance and you run the risk of finding everything is booked if you wait till the last minute. Year-round farmers markets. Local strawberries in April (now!) with cherries and other fruit not far behind. Excellent local wine regions like La Clape and Pic Saint-Loup. The Lucques variety of olive. Bakeries. The Crêperie here in the Fort is good, but there are many places in Montpellier making baguettes just as well. And the sourdough (levain) baking in Montpellier is much better. A short drive to the beach. TGV connections to Paris and Barcelona. Just 3 hours to each. Historical public places like Place de la Comédie and the Promenade du Peyrou. It's not all milk and honey, however. Montpellier also has hellish traffic (I don't expect it's any better seven years later), high unemployment, ghettos of poorly integrated immigrants, and a large homeless population. It's grittier than Fort Collins, more troubled, and in that sense more real. I'll write more about the move when summer arrives.